Hello to our valued Prestige Dentistry patients! If you haven’t stopped by our blog in a while, we welcome you. It has been a great month at our modern Palm Harbor dentistry practice. We continue to achieve fantastic results with our precision smile makeovers. We have been skillfully using veneers, porcelain crowns, short term braces, teeth whitening, dental bridges, gum grafting, crown lengthening, and dental bonding to create unbelievably beautiful smiles. If you would like a perfect smile, call us at 727-877-1507 today to schedule a smile design consultation. There are few physical features that can be transformed as quickly as your smile (okay, maybe your hair) – just think of how long it takes to tighten your abs or lose weight. Dramatic improvements can sometimes be achieved in just one visit. If you have never seen photos of some of our Palm Harbor smile makeover patients, you are probably not aware of how dramatic the results can be. There is virtually no dental trouble that can’t be improved with revolutionary cosmetic dentistry at Prestige Dentistry. Do you want to look younger, more attractive, and more confident? 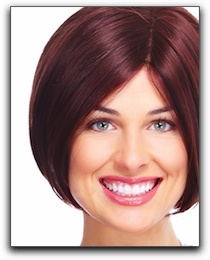 Consider an expert cosmetic dental smile makeover from one of the top cosmetic dentists in Florida. See https://www.prestige-dentistry.com/ for more details or call today!